Pateley Bridge’s traditional butchers H Weatherhead & Sons are up for another prestigious award – a special ‘Champion of Champions award’. As a previous winner of the Countryside Alliance Awards, H Weatherhead & Sons have been invited back to re-compete for the ‘Champion of Champions’ titles. H Weatherhead & Son are a long established family business famous for selling high quality local produce. 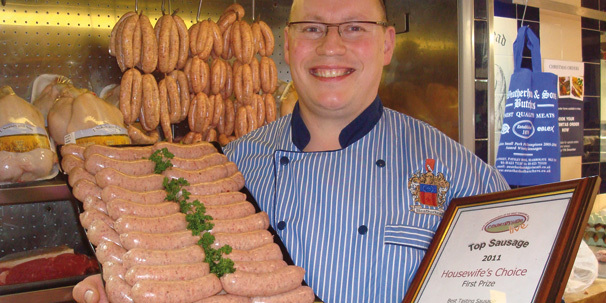 Customers come far and wide just for their famous award winning pork pies, sausages, black pudding and so much more! Vote throughout November 2014 only – vote now before it’s too late!